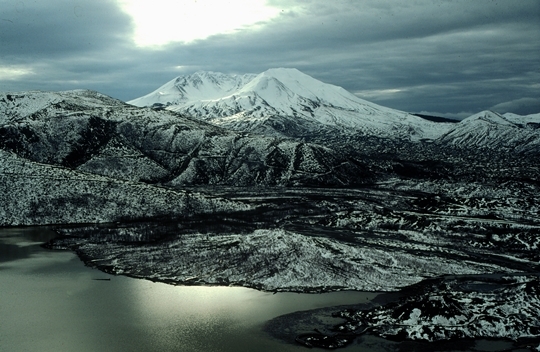 Thirty-six years ago today, Mount St. Helens erupted changing the landscape forever. Twenty years ago I worked out there as a park ranger and had the wonderful opportunity to see the mountain in it's many moods. 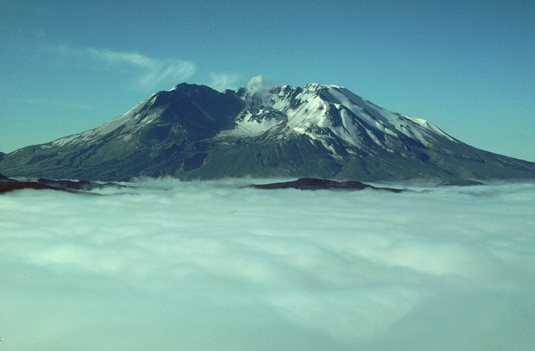 Enjoy some old photos (from slides) of the Mount St. Helens. Thanks for the photos! I remember that day very well. Got up that morning, and everything outside was covered with a thin layer of ash, 600+ miles away! We drove out to Seattle shortly after, and visited the area. Unbelievable, to say the least! Thanks for sharing these photos ! We only found out that this had been caused by the eruption later that evening when we stopped for fuel, food and rest. Too busy on that May 18 (or 19th ??) 1980 packing up to watch the news on TV !! Those images really show the results of the "forces of nature" which took place that day ... the mountain has been obviously chopped quite a bit ! Thanks for sharing. The top right shot is especially appealing. We were able to visit Mt. St. Helen's once and the landscape looks like the devastation just happened. Wonderful set of photos. Thank you for sharing. I was just south of the mountain (Ridgefield, WA) when it erupted that Sunday morning. Just 9 years old- but it's a memory I'll never forget. 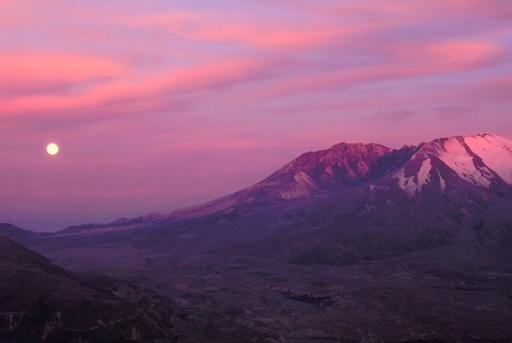 Hiked up to the rim 4 years ago when my oldest son turned 17... Beautiful photos, I especially like "Mount St. Helens3". Would you believe I actually have the last photo taken of the mountain just before she blew. It was really beautiful. 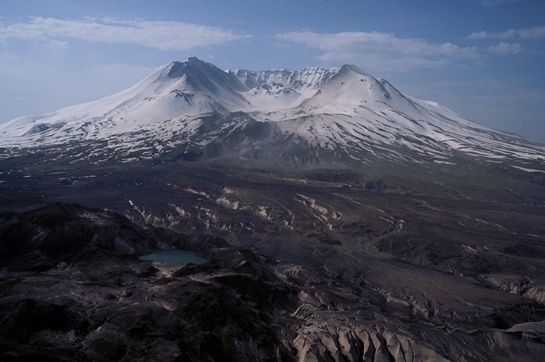 We drove up there about ten years after the eruption and for 230 square miles all the trees were bare from the heat caused by the blast. I mean both sides of the trees were bare, no bark and most of them leaned in one way or another. The first thought I had was a picture of Hiroshima after the atomic bomb was dropped there. Also, there once was the clearest lake in the world, known as Spirit Lake had vanished. The ground opened up and lake went down like a stone. Tragic that people were killed. Great photos. Thanks very much. We visited there in 1991 during our great western vacation. As I stood on the Windy Ridge lookout, I said to my wife that I had $3,000 in camera gear with me and there was no way I could take a photograph that would actually capture the awe I was feeling. It was stunning to see an area the size of the county I live in completely obliterated. As a side note I did acquire some pumice and bring it back home. Shhhhhhhhhhhhhhhh!!!!!!!!!!! Don't tell the rangers. Great set, I find the second one is just amazing. Thanks for sharing these.